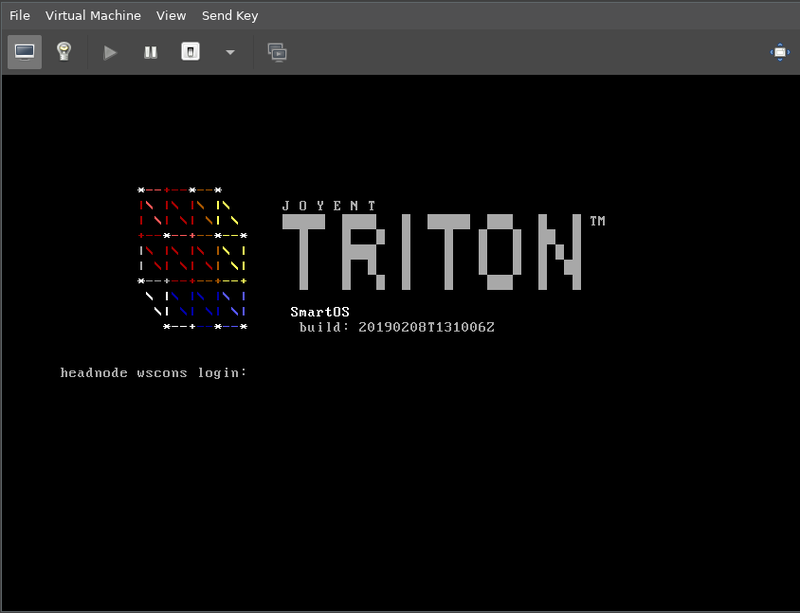 COAL, or Cloud-on-a-Laptop, is an easy way to run and test SmartOS and the Triton Stack in a self-contained VM meant to be run on a laptop. The sdc-headnode repository makes a lot of assumptions when building a COAL image about using VMWare for virtualization on an OS X laptop. However, with some modifications it is possible to run COAL on Linux via KVM managed through virt-manager. To get virt-manager setup and running on Void Linux, you can follow my guide KVM Virtualization with virt-manager on Void Linux. Before getting started with the COAL building process, you can choose to enable nested virtualization if your hardware supports it. This is required if you would like to run bhyve zones on your COAL setup. Note that this setup assumes an Intel CPU. Running and managing virtual machines on Linux is very easy using the virt-manager GUI program. Under the hood, the virtualization technology takes advantage of KVM (Kernel Virtal Machine) in the Linux kernel. The result of both of these together is fast and efficient hardware virtual machines with a really easy and straightforward GUI to manage them. 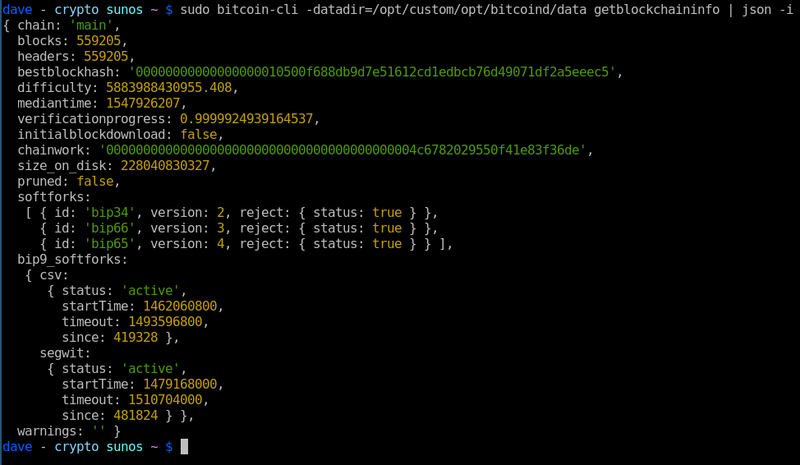 Running a Bitcoin full node is a great way to ensure the health and integrity of the decentralized Bitcoin network. 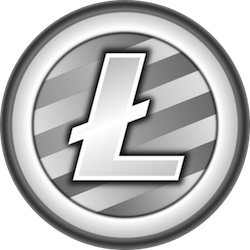 This blog post is meant to be a guide for compiling, running, and monitoring a Bitcoin full node on a server, and as such won't delve too much into the specifics as to what the node does, or why it's important to the network health. If you want to know more check out 6 Reasons To Run a Bitcoin Full Node. Put simply, running a full node will add to the large number of full nodes running across the world to support the Bitcoin network. The nodes ensure the rules of the protocol and consensus algorithms in place are upheld and enforced, which is what fundamentally allows Bitcoin to work and function the way it should. Miners create new blocks and submit them to the network for verification - it's the job of the full nodes to verify these blocks (groups of transactions) and ultimately accept or reject them based on their validity. Every full node will verify the validity of any and all blocks submitted to the network and, for each block, decide if it will be the next new block in the chain or whether it should be thrown out in the case that it is invalid (by either a bug in the mining software or a bad actor trying to undermine the network). Full nodes are the final arbiters when it comes to determining which transactions are valid or invalid. While using Void Linux on my laptop, I wanted some way to trigger scripts as my user when the machine went to sleep and when it resumed. The main goal of this was to be able to lock my machine using i3lock on suspend. Note: i3lock-retry is a simple wrapper-script that calls i3lock continuously until it exits successfully (i.e. when the correct password has been entered). I've had some issues with i3lock crashing in the past and I just have this wrapper in place because of paranoia over ensuring my system locks correctly. Over the weekend I wrote what can only be described as a completely over-engineered solution to something that was really nothing more than a minor annoyance to me. I noticed that some paths in my $PATH environmental variable were duplicated, and some were there that didn't exist on the filesystem, and over all it was just a bit of a mess. I remember encountering the pathmunge bash function a couple years ago but I didn't want something that relied on grep or any external commands - I wanted to be able to manage $PATH (and $MANPATH) with pure bash. I purchased the ThinkPad X1 Carbon (6th Gen) laptop about a month ago and have been loving it. My friend Mike convinced me to get it after showing me how nice his was and how well Linux ran on it. 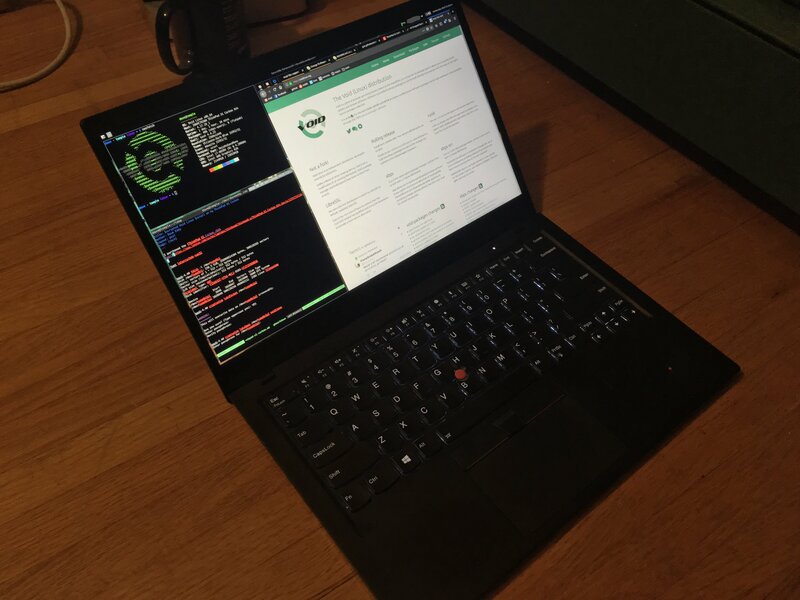 I hadn't run Linux on a laptop or a desktop since around 2010, as I had switched over to almost exclusively OS X.
I installed Manjaro when I got the laptop and used it for a couple of weeks just to get used to Linux again (and the i3 Window Manager). 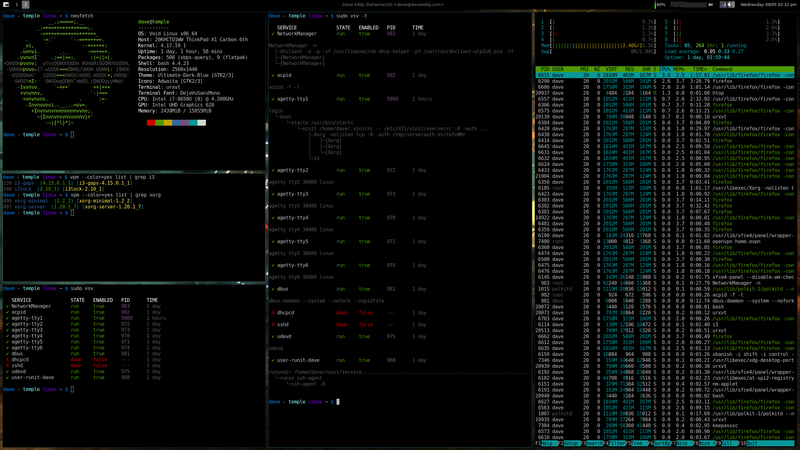 However, this was also my first experience with systemd, and, after using it for a bit, I really wanted something a whole lot simpler. Something that was designed to be lean, easy to understand, and easy to manage. with the modifications at the bottom for EFI/UEFI machines.